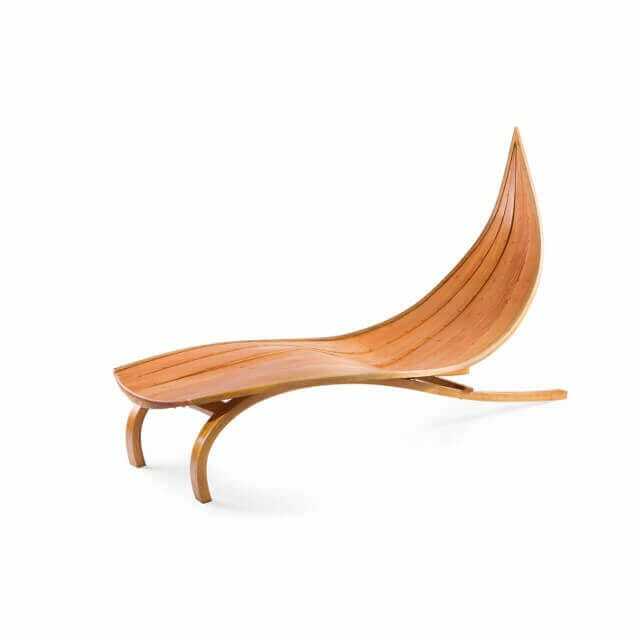 An elegant and dramatic lounger chair that is ergonomically designed to fit the curves of the body. 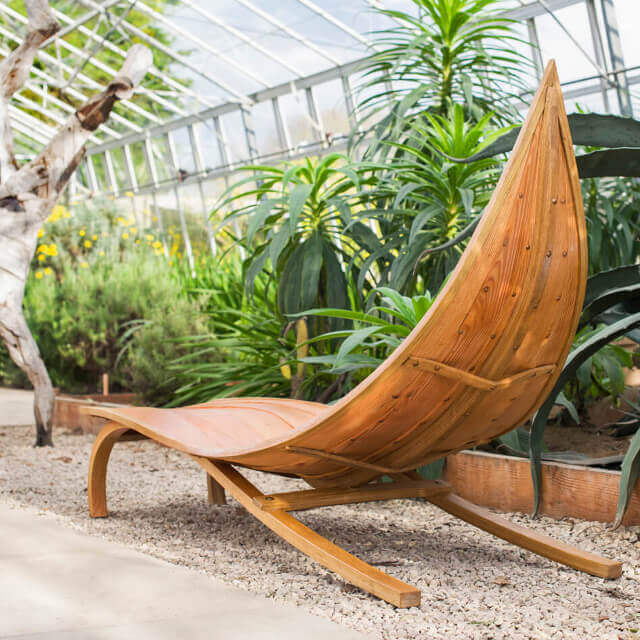 Made of steamed & laminated oak and larch, it is built using traditional wooden boat building methods and so is perfectly suited for outdoor use. 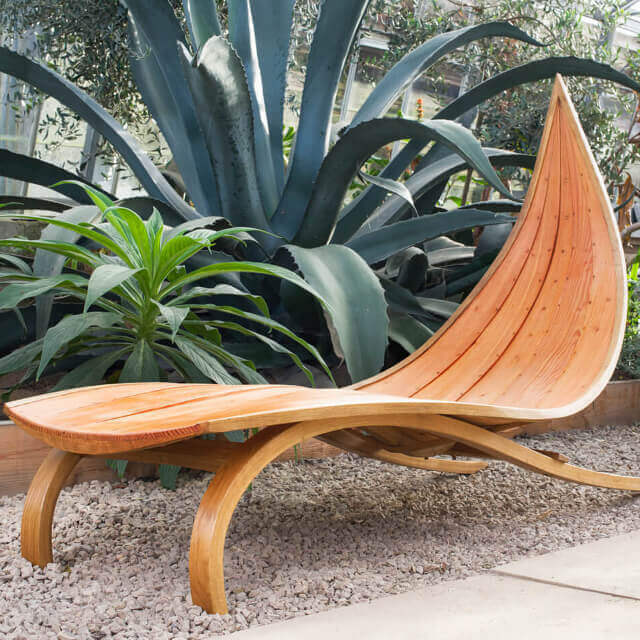 Designed as a part of the clinker boat-inspired range of chairs. It seemed only right that if you can sit upright and rock, then lying down should be an option. Designing this chair was an interesting challenge to make it ergonomically correct while retaining the flowing curves. Oak & larch with copper & bronze fastenings.